A couple of weeks ago I found myself in southwestern France, a region which – at the time – was being struck by a unseen spell of global wetting. Summer had arrived three months early, people said. April and may had been exceptionally dry and warm; but in July, autumn was knocking on the door of our vacation home. Early autumn, I was told by our gentle host Philippe, goes hand in hand with a peculiar phenomenon: fungi frenzy/mushroom madness. All the locals get this strange misty-eyed look and head for the woods to hunt for the precious boletus edulis, more commonly known as fungo porcino, porcine mushroom, cep and lovingly referred to as “the brown plague”, as it tends to halt the local economy. When Philippe invited me to join him on an early morning quest for porcini, I gladly accepted. 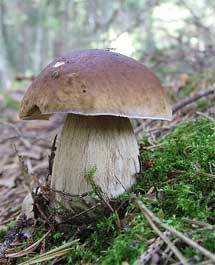 It sounded like a treasure hunt, as fresh porcini are sold for outrageous prices to local restaurants. And who doesn’t enjoy a good treasure hunt after breakfast? We left for the woods, armed only with wooden baskets, a knife and a sturdy 4×4. I was soaking with sweat after a couple of hours of intense scouting. In a short timespan, Philippe managed to transform me into a die-hard mushroom hunter. A novice still, but I felt I was learning quickly. Philippe’s heuristics (not best practices, mind you) helped me discern the good from the bad, finding porcini hidden under leaves and cantharelles in a neat straight line. I even developed my own heuristics as I went along: I started looking alongside paths through the woods – plenty of chances for the sun to peep through the deck of leaves, and easier to spot since the vegetation is less dense. As I was wandering through the woods with eagle eyes and at a snail’s pace, it all felt strangely familiar. When Philippe said “Where there is one, there are many”, it struck my tester chord. Here I am, a tester, looking for mushrooms, which doesn’t seem to be all that different than looking for bugs. No wonder I liked it so much. I also realized that when I’m looking for bugs, I use these kind of heuristics all the time, but all too often I’m not very aware of them. Which is a pity, because used consciously, these heuristics (“a fallible method for solving a problem”) can be a really powerful tool to boost your exploratory testing efforts. As some mushrooms are picked and not cut, our bag-o-techniques should enable us to deal with any situation. As Lee Copeland points out in A Practitioner’s Guide to Software Test Design: a tester should carry his techniques with him at all times, just like a handyman’s toolbox follows him around everywhere he goes. Apply a specific technique, use an particular approach when the situation calls for it. For the record: I’m not a mushroom master, yet. I lack practice, experience and domain knowledge to attain mastery. I’m not a testing master either, as I’m in constant learning mode. For every good practice I know, in context, I am aware that there’s always another context that I need to get myself familiar with. That prospect may seem humbling and daunting to many, but I wouldn’t want it any other way. That’s Context-Driven Testing for ya. (For more info, see The Seven Basic Principles of the Context-Driven School as a starting place. There’s a lot more where that came from).